The next instalment in the Brexit saga will come next Tuesday 29 January, as Members of Parliament (MPs) have their say on the government’s ‘Plan B’. In reality, ‘Plan B’ looks pretty similar to ‘Plan A’, and Theresa May remains focussed on reducing concern surrounding the Irish backstop. But the focus is now centred squarely on a series of amendments Tuesday’s motion. These amendments give MPs the opportunity to say how they’d do things differently when it comes to Brexit – and one, in particular, is attracting most of the headlines so far. Labour MP Yvette Cooper has tabled an amendment that would effectively give the government until 26 February to get a deal approved, or Parliament will get an immediate vote on whether to apply for an Article 50 extension – for potentially until the end of 2019. Now that key members of the Labour Party have thrown their support behind it, the amendment looks likely to succeed. Strictly speaking, none of this takes ‘no deal’ off the table completely just yet. 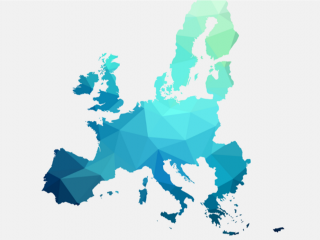 But it is nevertheless significant as for the first time, there would be a clear and credible mechanism for lawmakers to avert a chaotic EU exit on 29 March. 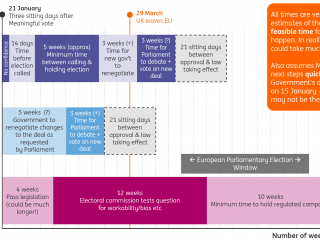 And assuming the amendment passes on Tuesday, there’s little reason to think lawmakers would reject the opportunity to extend Article 50 in a vote at the end of February - assuming no deal has been approved by that stage. That said, there are two reasons why businesses are likely to remain wary. Firstly, the EU must unanimously approve any decision to extend the Article 50 negotiating period. In the past, European leaders have made it clear that a legitimate reason would be required to justify extra time – for instance, a second referendum or a meaningful shift in the UK negotiating stance. Admittedly, the view among EU members states appears to be softening on this issue and in the end, we think Brussels would grant an extension, although we’re unlikely to know for sure until March. But remember, it would only take one country to put a spanner in the works. Secondly, we don’t know for sure how long any extension might last. The Cooper amendment specifies a nine-month delay, but this could be edited if and when lawmakers get their chance to vote on an extension. If the numbers are looking a bit tight, the timescale could get shortened to win over some undecided MPs. Equally, some EU leaders appear resistant to a longer extension. Austria's Chancellor Kurz said on Thursday that any extension shouldn't go beyond the European Parliamentary Elections (due to take place in May). For the economy, the bottom line is that its probably too early for businesses to change course on their contingency planning, which will keep the pressure on hiring and investment, and therefore overall economic growth, during the first quarter. With the chances of a long Brexit delay rising, the pressure is mounting on pro-Brexit MPs within Parliament to reconsider May’s deal. The rhetoric of Brexit-supporting lawmakers has softened marginally towards the Prime Minister’s.” over recent days. In a radio interview earlier this week, prominent pro-Brexit Conservative Jacob Rees-Mogg said: “even Mrs. May’s deal would be better than not leaving at all”. That said, the chances of the Prime Minister’s deal passing the second time around seem low. The scale of her defeat a week-or-so ago means she’d need to convince around 115-120 lawmakers (out of a total 650) to change their minds. The Northern Irish, Democratic Unionist Party, who is propping up the government for its working majority, have made it clear the Irish backstop needs to disappear entirely to regain their support. Importantly, the EU has made it pretty clear it is not prepared to renegotiate on the Irish backstop. Even if it were prepared to consider changes, Brussels would want to be 99% sure they would turn things around in the UK Parliament. Given that the Irish backstop isn't the only concern amongst lawmakers, there are no guarantees a revised version of May's deal would gain the necessary backing from MPs. Assuming May’s deal struggles to gain support, and that Article 50 ends up being extended, this still doesn’t answer the question of what eventual Brexit scenario will prevail. In the aftermath of last week’s vote, markets found a silver lining when Theresa May signalled she was prepared to go across party lines to seek a compromise. But while a softer Brexit stance stands a better chance of gaining majority support in Parliament, the road still remains challenging. As we've discussed in more detail earlier, if May inches towards a softer stance, the pro-Brexit contingent of the Conservative Party will rapidly begin to lose patience. Labour Leader Jeremy Corbyn may well try and leverage this discontent in a repeat no-confidence vote, and this seems to be at least part of the reason why he is reluctant to endorse a second referendum at this stage. Admittedly, the bar for the Conservatives, or indeed the DUP, to vote the government down seems pretty high. But even so, if an alternative Brexit strategy were to gain support in Parliament, then the Brexiteers could still express their dissatisfaction as the subsequent legislation passes through the House of Commons. According to the Institute of Government, there are still seven bills needing to be approved by Parliament to translate the UK's EU exit into law. There are risks Conservative pro-Brexit MPs could try to hold up this process if they view any revised deal as unacceptable. In other words, at this stage, Theresa May has little incentive to reach across party-lines in search of a solution - although pressure from MPs will inevitably build. At some point, it is possible that lawmakers try to force indicative votes on different Brexit outcomes - although this seems less likely to happen next week given that no individual Brexit option is perceived to have majority support as things stand. What next after Speaker Bercow’s Brexit bombshell?